Works from two prominent collections of Irish art are going on view at the Royal Hibernian Academy in Dublin this week ahead of being offered at Sotheby’s in London. They feature works by some of Ireland's greatest painters. 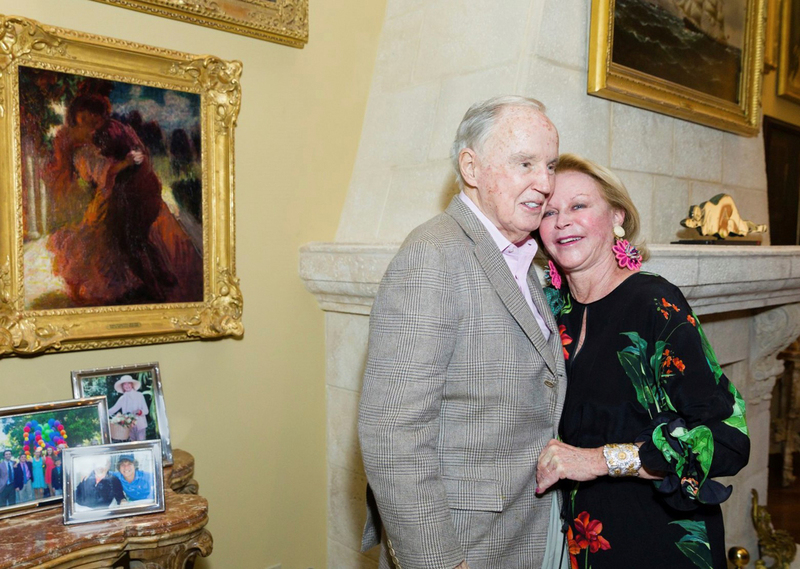 Brian and Eileen Burns, who have consigned 100 pieces from their prominent collection of Irish art to Sotheby’s. Photograph: Carrie Bradburn. The collection of Brian P Burns has provided Sotheby’s with 100 lots which have a combined estimate of £3m-4.5m and will be offered at an auction in London on November 21. Ranging from the 18th century to the present day, the works have individual estimates range from £1000-500,000. Now in his 80s, the Irish-American lawyer and businessman was nominated to be the 32nd United States Ambassador to Ireland last year but had to withdraw his candidacy for health reasons. He and his wife Eileen have has been collecting for over 40 years, becoming regular visitors to the galleries on Molesworth Street in Dublin and receiving advice at the outset from Desmond Fitzgerald, the 29th Knight of Glin, Desmond Guinness and other art experts and advisors in Ireland such as James Gorry. Helping to stimulate the market for Irish art through exhibitions and loans as well as their acquisitions, Burns also founded a library at Boston College which today has arguably the most significant holding of Irish cultural material in the US, including the largest collection of WB Yeats papers outside Ireland. Also on view in Dublin are the 16 works from the Joseph and Brenda Calihan collection which Sotheby’s is offering as part of its Irish Art sale in London on September 11. The works date from the mid-19th to the mid-20th century and are estimated to bring a combined total in the region of £1.4m. Examples include pictures by the artists such as Jack B Yeats, John Luke, Gerald Dillon and Richard Thomas Moynan. ‘A Misty Morning’ from 1942 by Jack B Yeats, estimated at £150,000-250,000 at Sotheby’s sale of the Brian P Burns collection. Any important collection of Irish art requires a significant core of works by the country’s greatest 20th century painter, Jack B Yeats (1871-1957). The 100 works from the Brian P Burns collection at Sotheby’s include five oil paintings, four watercolours, an illustrated letter and a pencil sketch by the artist. This 1942 oil on panel A Misty Morning shows a figure looking over the sea as a boat emerges from the fog – symbolic of the 71-year-old painter looking back on his memories? At the auction in London on November 21, it is estimated at £150,000-250,000. 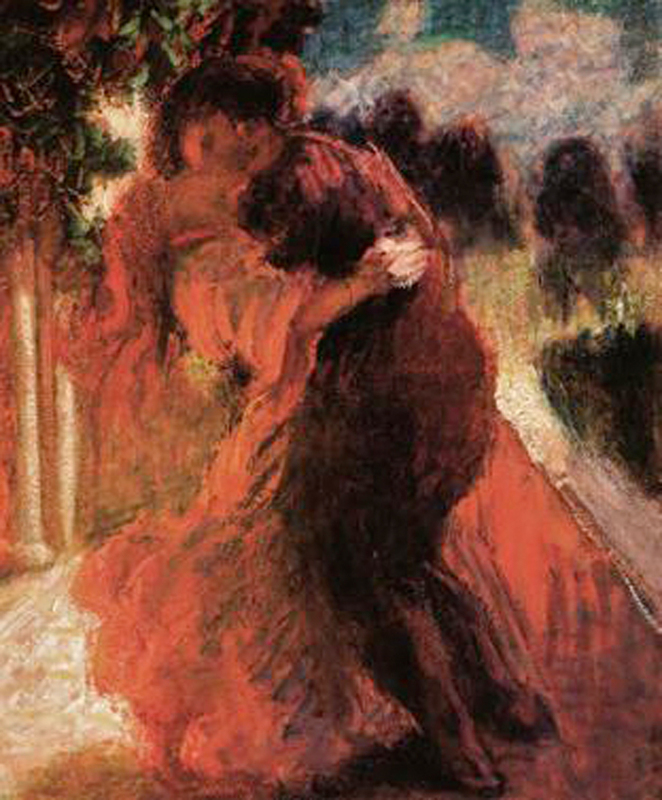 ‘Romeo and Juliet’ by Roderic O’Conor – estimated at £300,000-500,000 at Sotheby’s sale of the Brian P Burns collection. Romeo and Juliet by Roderic O’Conor (1860-1940) is the highest-estimated work among the works from the Brian P Burns collection at Sotheby’s, pitched at £300,000-500,000. The oil on canvas from c.1898-1900 was derived from the artist’s imagination rather than directly from life, although it may have been inspired by Edvard Munch’s The Kiss, which was painted a year earlier, which O’Conor may well have seen through printed reproductions. ‘Seascape, Orange and Red Rocks’, an oil on canvas by Roderic O’Conor that is estimated at £50,000-70,000 at the sale of the Brian P Burns collection. 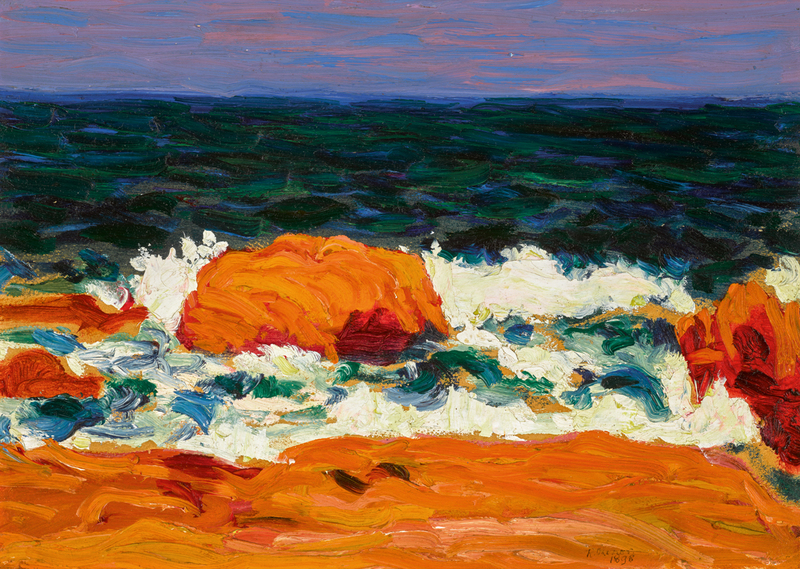 Another work by Roderic O’Conor from the Burns collection is Seascape, Orange and Red Rocks, one of two seascapes by the artist consigned to Sotheby’s. Dating from 1898, the oil on canvas was painted during his 12-year sojourn in Brittany and shows some debt to his friend and fellow artist Paul Gauguin. The artist is currently the subject of a major exhibition at the National Gallery of Ireland which runs until October. The estimate for this work is £50,000-70,000. 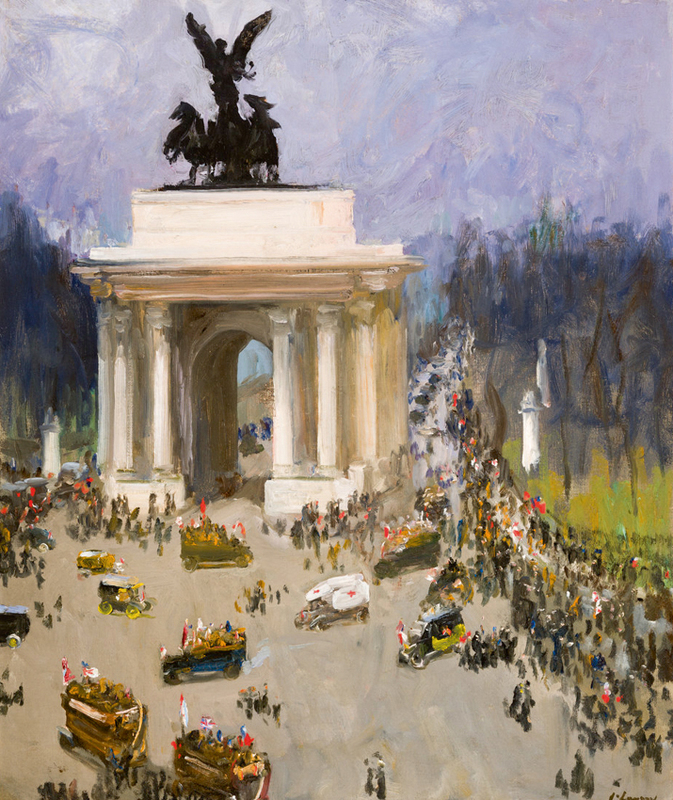 ‘Armistice Day, November 11th 1918, Grosvenor Place, London, 1918’, an oil on canvas by Sir John Lavery – estimated at £200,000-300,000 at Sotheby’s sale of the Brian P Burns collection. The colourful scenes in London at the announcement of the cessation of hostilities between the Allies and Germany on November 11, 1918 were painted by Sir John Lavery (1856-1941) in this view of Grosvenor Place. Rapidly produced with swift brushwork and flashes of colour – reminiscent of Lavery’s earlier days when he trained as an ‘artist-reporter’ – it shows crowds gather around the statue of Nike, the winged goddess of victory descending on the chariot of war. The oil on canvas is estimated at £200,000-300,000 at the sale of the Brian P Burns collection. 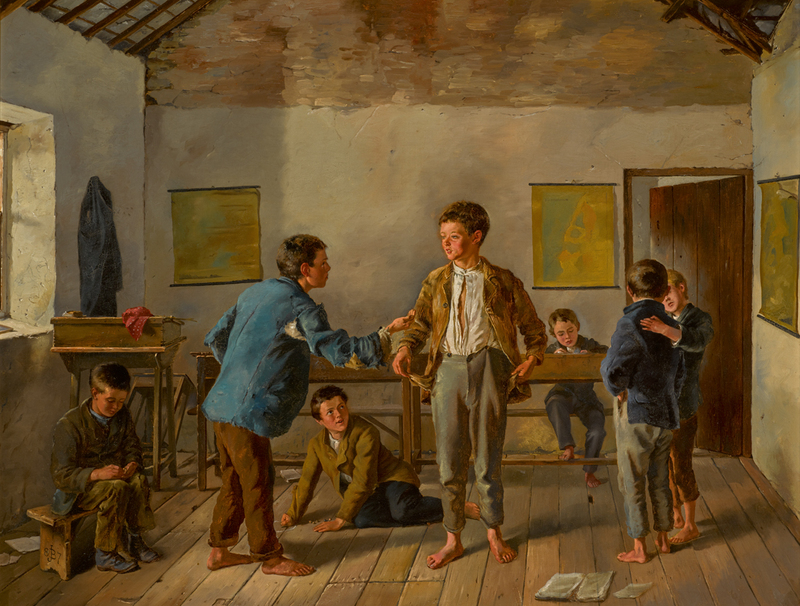 ‘The School Room (Empty Pockets)’ by James Brenan – estimated at £40,000-60,000 at Sotheby’s sale of the Brian P Burns collection. 19th-century Irish genre painter James Brenan (1837-1907) was head of Cork School of Art and later Dublin’s Metropolitan School of Art. A promoter of causes – including the country’s art education and encouraging the lace industry to bring employment to impoverished areas – his work often focused on social and economic issues. The School Room (Empty Pockets), an oil on canvas from 1887, is fairly typical of his work, with two bare-footed children in a sparse schoolroom arguing probably over marbles. It is estimated at £40,000-60,000 and will be offered at the sale of the Brian P Burns collection. ‘The State Ballroom (St Patrick's Hall), Dublin Castle’, c.1845, by FJ Davis – estimated at £200,000-300,000 at Sotheby’s sale of the Brian P Burns collection. At the other end of the social spectrum, a painting from c.1845 of the state ballroom at St Patrick's Hall in Dublin Castle is estimated at £200,000-300,000 at Sotheby’s sale of the Brian P. Burns collection. 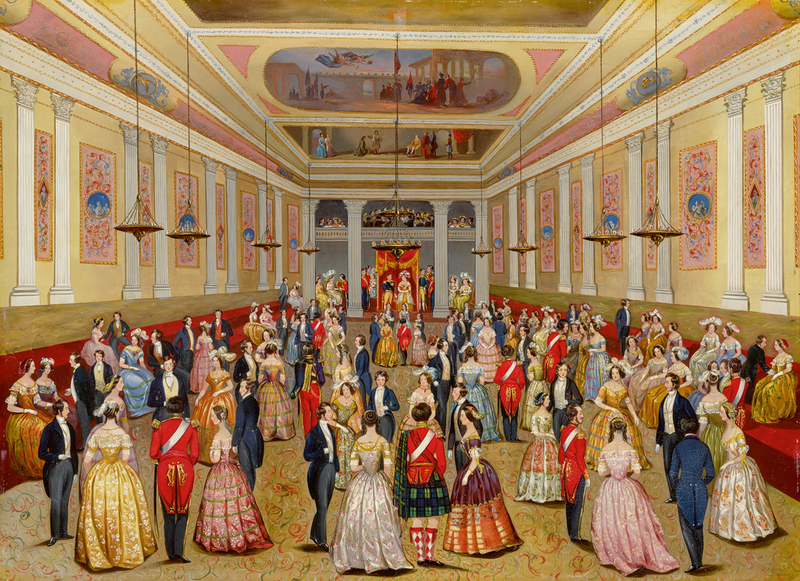 The scene dates from a few years before the room was renovated for the visit of Queen Victoria in 1849, showing the wealthy enjoying a lavish social occasion at a time when majority of people were suffering from the potato famine. The artist, FJ Davis (fl. c.1845), is little known, and may have been one of the decorators at Dublin Castle. 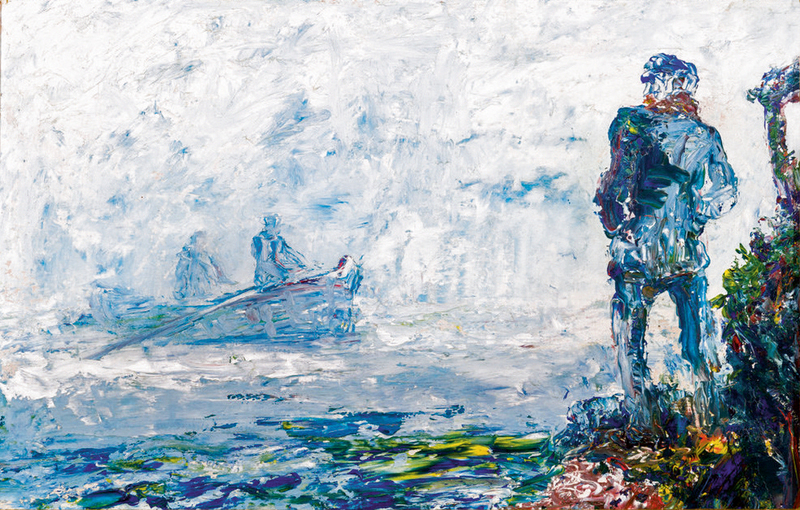 ‘Sunday Evening in September’ by Jack B Yeats – estimated at £300,000-500,000 at Sotheby’s sale of works from the Joseph & Brenda Calihan collection in London on September 11. 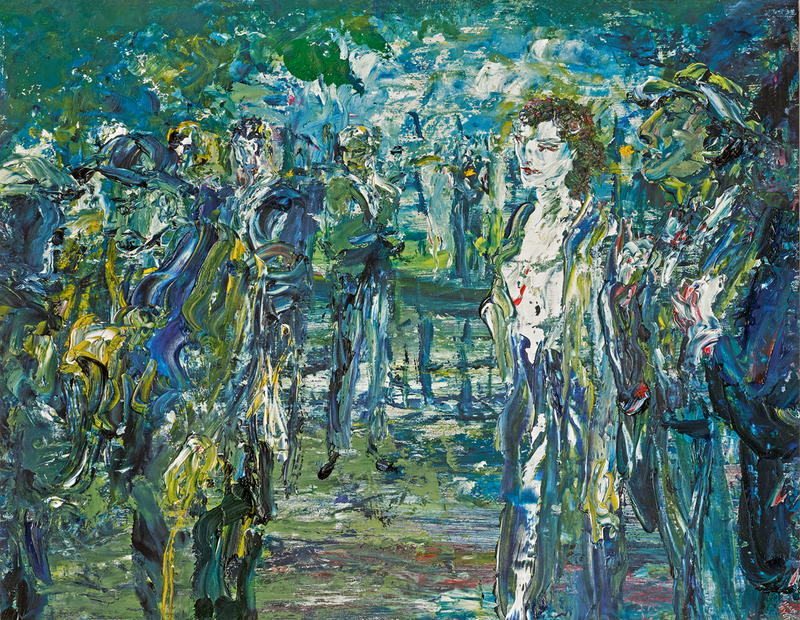 Among the highlights of the collection of 16 works from the Joseph and Brenda Calihan collection which Sotheby’s is offering as part of its Irish Art sale in London on September 11, is Jack B Yeats’ Sunday Evening in September from 1949. It shows a couple taking a stroll through St Stephen's Green in the twilight. With its vigorous handling of paint, Sotheby’s said the oil on board “exemplifies the very best qualities of the artist’s celebrated late career”. Previously sold at Sotheby's as part of the Vickerman collection, here it is estimated at £300,000-500,000. ‘The Circus’ by Jack B Yeats – estimated at £200,000-300,000 at Sotheby’s sale of works from the Calihan collection. 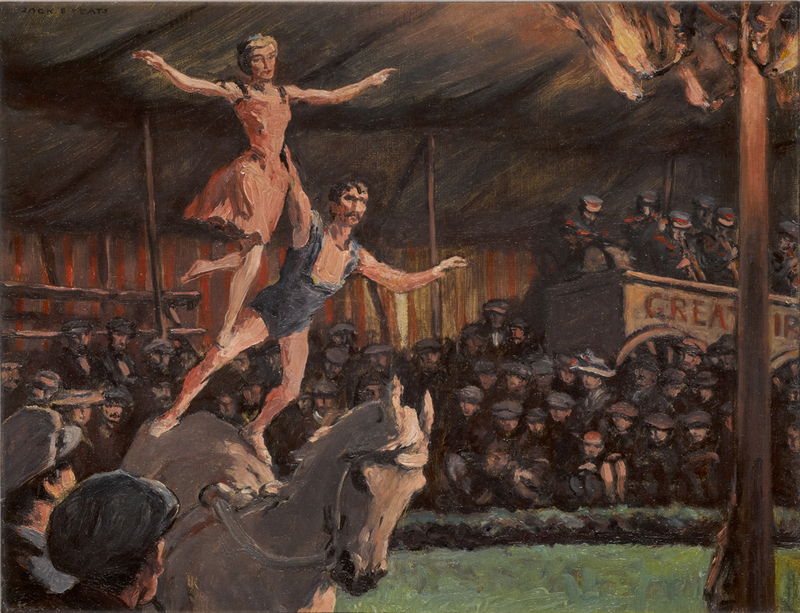 An earlier work by Yeats on offer this season is The Circus from 1921 which is part of the Calihan collection. The topic had caught his imagination as a young boy when he went to the circuses that toured the west of Ireland, while he later regularly attended Buffalo Bill Cody extravangas in London in the mid-1880s. The picture is estimated at £200,000-300,000 at Sotheby’s. ‘Ball in the Cap’ by Richard Thomas Moynan – estimated at £100,000-150,000 at Sotheby’s sale of works from the Calihan collection. One of the 19th century pictures from the Calihan collection is Richard Thomas Moynan’s (1856-1906) Ball in the Cap, an oil on canvas from 1893. The style and subject shows the influence of Jules Bastien-Lepage on the group of Irish artists like Moynan who, along with Walter Osborne and Roderic O'Conor, travelled to France and concentrated on naturalistic depictions of rural life. 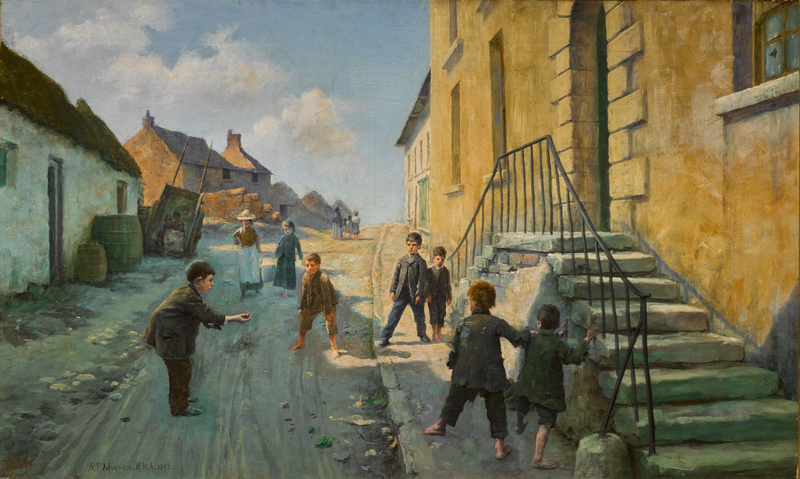 Scenes of children playing in quiet streets were a favoured subject and this example is estimated at £100,000-150,000. 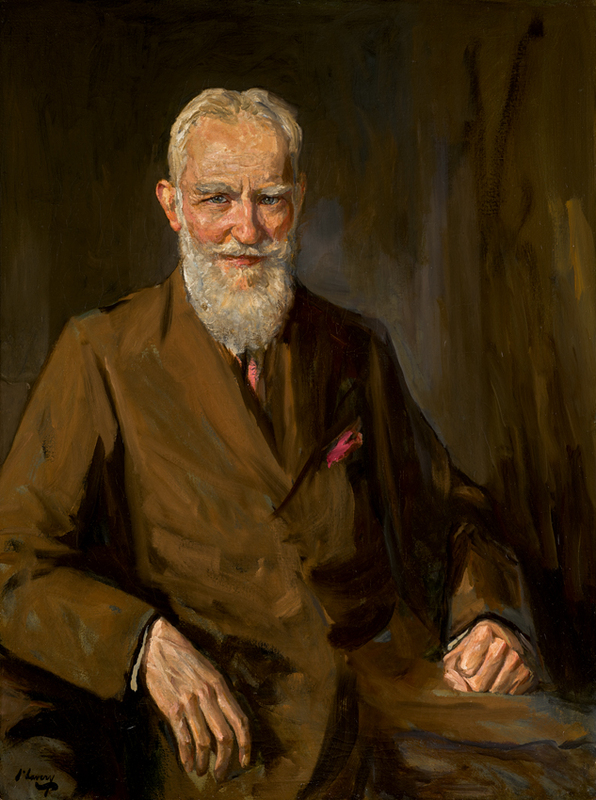 Portrait of George Bernard Shaw by Sir John Lavery – estimated at £70,000-100,000 at Sotheby’s. Among the separately consigned works appearing at Sotheby’s Irish art sale in London on September 11 is a portrait of the playwright George Bernard Shaw by Sir John Lavery. It is being sold by the University of Hartford in Connecticut who had received it as a gift in 1963. The oil on canvas was originally exhibited in 1925 but was reworked four years later as the original arrangement of the sitter’s attire was substantially revised. It is estimated £70,000-100,000.